Welcome to our collection of TORn’s hottest topics for the past week. If you’ve fallen behind on what’s happening on the Message Boards, here’s a great way to catch the highlights. Or if you’re new to TORn and want to enjoy some great conversations, just follow the links to some of our most popular discussions. 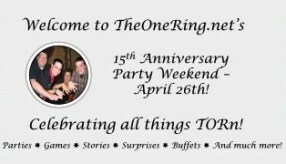 Watch this space as every weekend we will spotlight the most popular buzz on TORn’s Message Boards. Everyone is welcome, so come on in and join the fun! 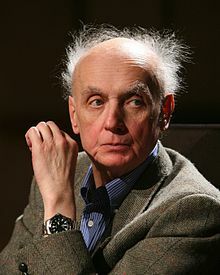 Polish classical and film music composer Wojciech Kilar has died aged 81 after a long illness. Kilar became known internationally as the author of dozens of film soundtracks such as Roman Polanski’s The Pianist, Jane Campion’s The Portrait of a Lady, and Francis Ford Coppola’s Bram Stoker’s Dracula. He also composed symphonic music, chamber works and works for solo instruments. The films are a two-part adaptation of J.R.R. Tolkien’s “The Hobbit,” celebrating its 75th year of publication in 2012. 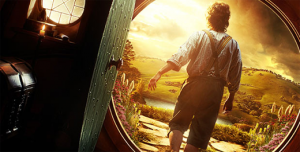 Peter Jackson is directing the films after helming a three-part adaptation of Tolkien’s “The Lord of the Rings,” book that appeared in print 17 years after “The Hobbit.” Jackson scripted the films with his writing team of Phillipa Boyens and Fran Walsh with the addition of one-time-director Guillermo del Toro. Fans will remember the many agonizing delays before the film’s start that eventually forced del Toro to bow out. 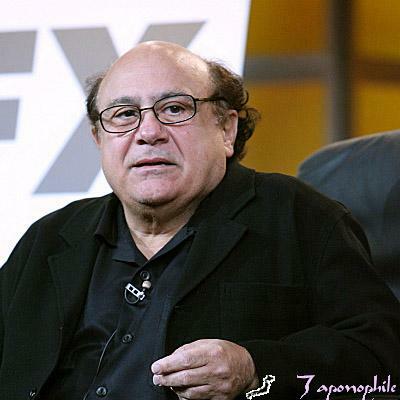 Posted in Fans, Fran Walsh, Guillermo Del Toro, Headlines, Hobbit Movie, Hobbit Movie FAQ, J.R.R. Tolkien, Lord of the Rings, LotR Movies, MrCere in New Zealand, Old Spy Reports, Original TORn, Peter Jackson, Philippa Boyens, Studios, The Hobbit, TheOneRing.net Announcements, Warner Bros.
TORn Flashback June 9-14: Keanu Reeves or Danny DiVito as Gandalf? Can’t quite visualize that? Believe it or not, that’s one of the many casting rumors that was sent to TORn in June of 1999, reported in the Sunday Star Times no less. Now that the casting rumor mill has started anew for The Hobbit and ‘F2,’ message board member diedye thought it would be fun to re-visit some of the old news reported on TORn in times past. Do you remember the first photos of Sam and Frodo on Mt. Doom from June of 2000? Did you know Bruce Willis was rumored to have petitioned PJ for a part in LOTR? With a few items sprinkled in from Tolkien’s letters and other sources, this makes for a fun trip down memory lane. Stay tuned for regular installments! One of our new men out in NZ, John sends these photos from Stone Street Studios in Wellington. This is a studio located about 2 minutes away from the coolest place in the world, also known as WETA Workshop & WETA Digital, and in between that is Park Road Post, where some LOTR work, and most of the work on King Kong was done..basically this neighborhood is the trifecta of movie-geek heaven. When I was down in Wellington last April I caught up with LOTR producer Barrie Osbourne, we was hard at work on his next film ‘The Water Horse’. I also had a chance to meet the director Jay Russell. At the time they were just about ready to begin shooting, this looks like they may be in re-shoot phase, the shoot in Scotland may or may not have happened yet, who knows. As you can see in the photos they seem to be planning something quite BIG to be on the blue screen…anyone who has read ‘The Water Horse’ already knows the answer to what that ‘something’ may be. Take a look at the photos and what John has to say! There are a few photos of WWII type patrol boats sitting at the entrance to Stone Street. Secondly, we walked around to the other end of the street where you can see the back end of blue screen (cargo container side). There are a few places along this street where it seems Weta has parked some things that are either not in use any more of about to be used. I included a few pictures of what looks like a giant fist and the back of a head. They’re sitting in an alley along with a couple catapults…obviously from LOTR. Also, in another space there are very new looking airplane parts which look unfinished and freshly made. There’s one photo of those in the bunch. On the night of the 16th and 17th one of the major streets in town is going to be shut down for “filming”. CONFIRMED! Billy Boyd will attend gala “Ringers” Premiere! Exciting news! The stars come out to play for the “RINGERS: LORD OF THE FANS” West Coast Premiere at the Newport Beach Film Festival! A wonderful HUGE event is scheduled this Saturday, April 23, at 7:30PM, including an after-party at the Hard Rock Cafe. Come join the Line Party [click here] and take part with hundreds of fans, costumes, and prizes from Sideshow/WETA Collectibles! Billy Boyd will be there in person!. Do not miss out on the hottest LOTR film event of the year. Click here and scroll down to “Ringers” to purchase your combo ticket for both screening and party. Click here for more on the “Ringers” site. From ContactMusic: Australian actress Miranda Otto is expecting her first child with actor husband Peter O’Brien. The couple, who married on New Year’s Day 2003, are “thrilled”, according to a spokesperson. Otto, 37, who starred in as Eowyn in LOTR, recently finished filming Steven Spielberg’s ‘War of the Worlds’, in which she plays Tom Cruise’s pregnant wife. Spy Report on PJ Next Project?! 1) Two words: Giant Spiders. Yes Peter Jackson has DEFINITELY shot the infamous Giant Spider segment that was cut from the original 1933 version of the movie. And not only Giant Spiders, but Giant Wetas as well! 3) Andy Serkis’s motion capture suit apparently has extended arms to give him a more gorilla effect AND he has a microphone that goes through an audio processor to make him roar like a gorilla to give the actors something to perform against! 4) Here’s the most interesting tidbit of all – there is a VERY STRONG rumour going around set that Peter Jackson’s next movie is going to be – A WORLD WAR I EPIC about the ANZACS! And that the Venture is going to be reconfigured into a WWI Minesweeper for the film! The Extended Edition On the Loose in NY! Just writing in to let all ringers know about another (and cheaper actually, @ 34.99 rather than the $39.99 mentioned from the video storein the previous post. The place I was lucky enough to come across is called Extraordinary DVD, and its located on W 14th St. between 6th and 5th. After reading the report you had posted yesterday afternoon I left after work @ 5:00 from New Jersey, headed south-east ( and went to the place you had described (which was very creepy and very difficult to find by the way) originally, which was sold out for the day (should have more today). What a horrible drive it was, at rush hour, trying to get through the Lincoln Tunnel, arrgghh, it was horrible. But I’m a true Ringer through and through (tattoo and all that I’ve had for a few years now), and just tried to think of Frodo on his way to Mordor, growing weaker and weaker by the minute, because that is how I felt on my way through the traffic jam going into the Tunnel (those who’ve been in similar circumstances, I’m sure, know exactly what I mean). Anyway, good luck to NYC Ringers find the EE early!